Where do you spend most of your time? Your house, sure but you spend a lot of time in your car. Running errands, driving the kids to school or going to work and who is with you during that time? Your family. And you want the best for your family. And when you’re in your car you want to breathe the cleanest air possible. So you need to have Elkhart Mechanics check and clean your Cabin Air Filter. Your Cabin Air Filter keeps the air inside the car clean and keeps all the bad stuff from getting into your and families lungs. And without regular checkups it could get clogged and not work to its potential, and you also won’t get air circulating through your vents as well. Most cars made in the last ten years or so have a cabin air filter, a part that filters the air from the air conditioning, heating system, and vents into the cabin. It reduces passengers’ exposure to dust and pollen, so if you have allergies, having a functional cabin air filter can make a big difference. It is a good idea to change your cabin air filter every 12,000 to 15,000 miles. If you commute to work when there is heavy traffic, it can also wear out your cabin air filter because it will absorb more soot, smoke, and dirt. If you have been driving in the desert or an area that experiences dust storms, it can also put stress on your cabin air filter. If the air does not come out in as strong a stream as you are used to when you open the vents or turn on the air conditioning, it could indicate that your cabin air filter needs to be replaced. It is also a sign that you should change your cabin air filter if the air you’re your air conditioning does not smell clean. In some cars, the cabin air filter is positioned in such a way that it is fairly easy to replace by yourself if you have the right tools. With other cars, it is best to take the car to a garage unless you are very skilled in auto maintenance. We can replace your cabin air filter less expensively than you can get it replaced at the dealership. 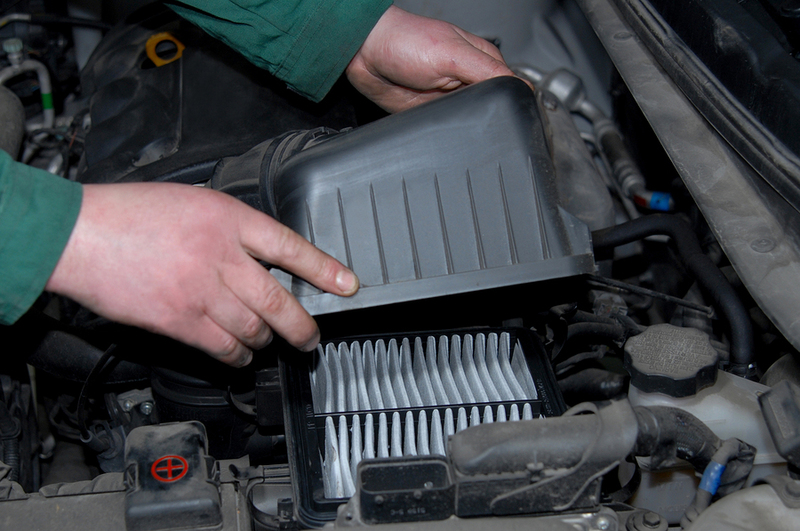 When you bring your car to us for routine maintenance and inspections, we will check your cabin filter and let you know how soon we think you should replace it. We will never pressure you to replace it sooner than you want to or replace it without asking you first.